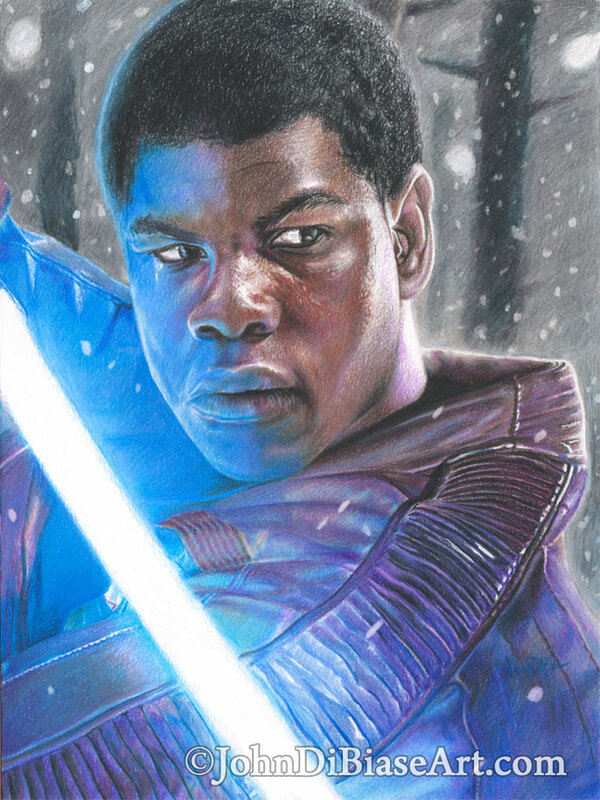 After Rey and Han, I decided to work on Finn… the source was another poster art image, but I decided to give him the Starkiller Base background with snow — as if Finn was engaging with – or about to – Kylo Ren. This one took a bit longer, but it was still fun. It’s done with all colored pencil (Faber-Castell, Prismacolor) on Strathmore Vellum Bristol paper (Which was actually an accident for this drawing. I didn’t notice it was Vellum and not smooth till I was too far into the drawing).